1.5 yards of the yellow tone-on-tone on the right. 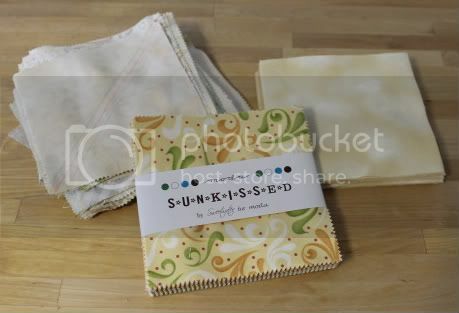 I'm making this quilt from Moda Bakeshop, but just from the two Sunkissed charm packs I already had. It should make a nice size baby quilt, and it's super fast to put together. Nothing out, but hopefully by the end of the week, this will be done and out.